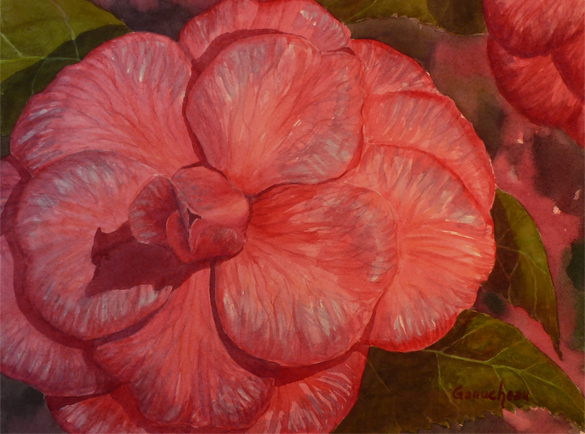 Original watercolor painting of a pink camellia by Rose Ganucheau. Over the years, I've left a trail of flowers and fruit trees as we moved from place to place, so when we got this last house complete with fruit trees and abundant with flowers, it seemed like Karma! Thank you, whoever planted this beauty that reminds me of the coming Spring in the dead of winter. 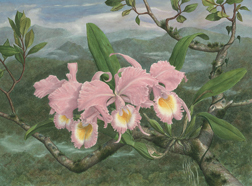 It is my pink muse.